Imagine: a faraway planet named Toussaint, whose inhabitants are connected at birth to a virtual information network called Granny Nanny, and can travel to alternate realities. A future galaxy populated by dreadlocked space-travellers, descended from the Antillean islanders of a lost Earth. A once-upon-a-time world where a woman fleeing her loutish husband receives a supernatural gift, a Chaos Stick, which can subtly change the course of events, and encounters the trickster god Anancy. For as long as humans have been telling and writing down stories, we’ve enjoyed such tales of the fantastic and the supernatural: of invented pasts and far-fetched futures, other worlds populated by gods and monsters and dazzling technologies. Nowadays, fans use the term “speculative fiction” to encompass genres such as science fiction, fantasy, alternative history, and retold myth, and literary works ranging from A Midsummer Night’s Dream to A Game of Thrones, Gulliver’s Travels to The Wizard of Earthsea, The Lord of the Rings to The War of the Worlds. Of course, all storytelling involves elements of speculation, but what these diverse genres have in common are plots and settings drawn not from everyday life, but from the furthest realms of the imagination, where the boundaries between the actual and the possible are fluid. For both writers and readers of speculative fiction, the first motive is entertainment, the sheer breathless pleasure of stories of adventure and discovery. But the speculative fiction genre has also always served as a vehicle for asking big questions about human nature, our origins and purpose, our direction as a species. The alternate worlds, utopias, and dystopias created by speculative fiction writers can function as thought-experiments to help us understand our own contemporary societies, and imagine better futures. That’s especially true of the small but brilliantly inventive corps of Caribbean spec-fic writers who have emerged over the past decade and a half. 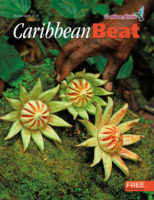 Writers like those in the following pages draw on Caribbean myth, folklore, and history to create gripping stories that tackle, in both overt and subtle ways, questions about colonial and postcolonial societies, ethnic differences, gender, personal and communal self-determination, language — in other words, all the big issues of Caribbean literature. And they do this by capturing readers’ imaginations with strange and wonderful stories of what could have been, and what still could be. 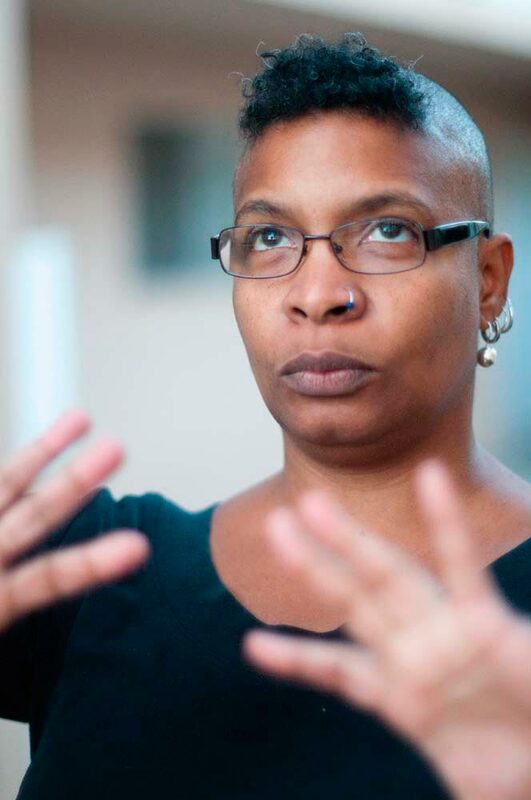 Asked about defining influences and favourite books, all three writers interviewed in the following pages name Nalo Hopkinson as a forerunner who proved definitively that there is an essentially Caribbean version of speculative fiction, and speculative fiction is essential to the Caribbean. 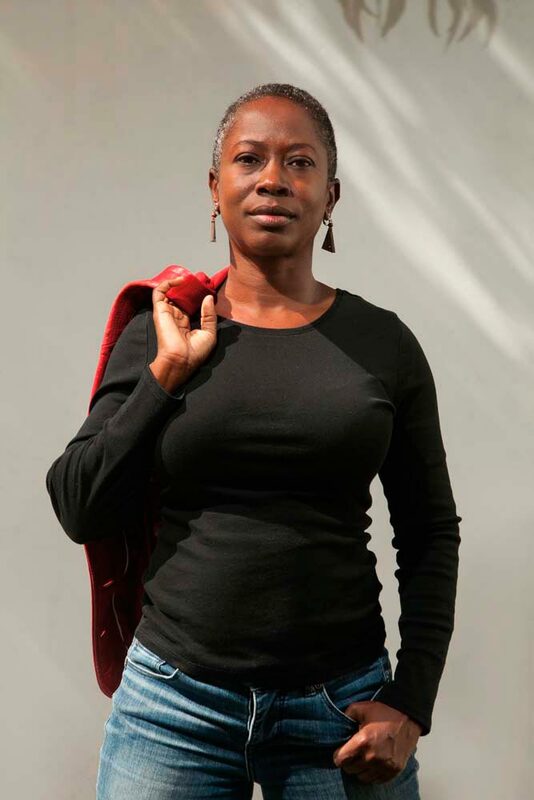 Born in Jamaica, into a creative and footloose family, Hopkinson grew up between that island, Trinidad, Guyana, and the US, until her family settled in Canada. Since 2011, she’s lived in California, enjoying the warmer weather. Hopkinson grew up in a literary milieu — her father’s friends included future Nobel laureate Derek Walcott — but she herself turned to writing relatively late, in her early thirties. Her first book, Brown Girl in the Ring, was published after winning a first novel award, and immediately won her a reputation as a daring new voice in both Canadian and Caribbean contemporary writing. Her fiction is dense with magic and myth, and draws deeply on Caribbean folklore and music, tackling all the trickiest and most troubling issues of the present: race, sexuality, class, the legacies of slavery, the abuse of children, violence within families and communities. Their settings range from a dystopian version of Toronto, devastated by economic collapse, to a distant planet with a magical-realist Caribbean civilisation, to Caribbean islands of past centuries. Like the most celebrated literature of this region, Hopkinson’s books have a vision of the Caribbean grounded in the realities of our history and geography, but unbounded in their imaginative possibilities. What were the books that made you want to write in the first place? My late father Slade Hopkinson was a poet, playwright, and actor. My mother Freda Hopkinson is a library technician trained in cataloguing library materials. My brother Keita Hopkinson is a visual artist with a love of jazz. I have been extraordinarily fortunate since childhood to have been surrounded by the artists and writers of my family’s community. When I was at the Bocas Lit Fest [in Trinidad] last year, I finally saw the film of Derek Walcott’s play Dream on Monkey Mountain, in which my father and a number of his friends had starring roles. It was a trippy experience — I’m now older than my father was when he acted in Dream. I actually didn’t recognise him at first. And I was able to chat for a few minutes with Uncle Derek, who was at Bocas to be honoured for his career. Definitely Dream was an inspiration. I’ve also read classic science fiction and fantasy, including the inimitable Ray Bradbury, New Wave writers such as Michael Moorcock, and authors such as Ursula K. Le Guin (feminist), Samuel R. Delany (black, gay), and Octavia Butler (black, feminist). I was a Star Trek fan from the beginning. Too, I’ve been inspired by negative examples: the mockery of Caribbeanness epitomised by characters such as Jar-Jar Binks in the Star Wars films, and that lobster or whatever he is from The Little Mermaid. 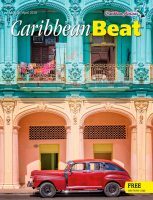 What’s the particular value of spec-fic to Caribbean readers or Caribbean realities? We see and hear ourselves reflected in ours and the world’s eyes. Too often, we’re told that the Caribbean’s only purpose is to entertain, and that we can aspire to nothing more, that we are incapable of innovation. We know better, and these stories proclaim it so. What’s your current or next writing project? I’m still working on Blackheart Man, an alternative history fantasy set in the sixteenth- and eighteenth-century Caribbean, on an island of Maroons who magically fought off their colonisers and were able to develop in peace for two hundred years. Yes, there are echoes of Palmares in Brazil, but I’m trying to imagine a nation like that having never been conquered. I’m also riffing on the griot and on how we retain or recover lost knowledge. 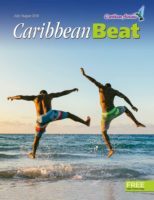 Is there anything you’d like your Caribbean readers to know about you that they probably don’t? I’m an amateur fabric designer. No formal training — it’s something I do for fun. You can see my print-on-demand designs at spoonflower.com, where my designer name is nalo_hopkinson. In Buckell’s Xenowealth series, he imagines a distant future in which the human race, descended from hybrid, multiracial islanders, inhabit a galaxy dominated by an alien imperial power. The trilogy fulfils all the expectations of an ambitious space epic, but also works as a clever allegory about resistance to oppression, the struggle for autonomy, and the strength of a creole culture drawing on many heritages. Caribbean Beat: How do you define speculative fiction, in a sentence? Tobias Buckell: It’s the literature of “what if” and daydreams — something that allows us to speculate about what could be. What is it that makes Caribbean speculative fiction distinct? We’ve all had this experience of the Caribbean. It’s like the Jamaican national motto — a sort of “out of many come one” situation. Each of us has come from a different island that has a different history, but when we get together and talk, there are all these commonalities. The island experience, concerns of dialect, concerns about deep history, about place in the world, diaspora, empire, post-empire — those themes weave in and out of our work together. And yet the group is very Caribbean in that it’s such a distinct mix of different people. That’s what makes the Caribbean fascinating — it’s not just one thing. My ideal reader is someone who enjoys Star Wars and lives in the Caribbean. When I was very young I stumbled across one of those seminal science fiction books, Arthur C. Clarke’s Childhood’s End — a big-ideas book about whether humanity would ever get into space and how long the species would exist. As a really young kid, it just blew my mind, and I started seeking out more stuff like that. And growing up in the Caribbean, there’s a really strong tradition of folk tales, duppy stories, myths, Anancy stories. For me, the idea of being open to fantastic literature was pretty easy, when you’re a kid who grows up with Carnival and talk of moko jumbie all around you. What’s your next writing project? I’m oddly between projects, and it’s both terrifying and refreshing. But I just finished doing a collection that pulls together all those short stories related to my novels in the Xenowealth series. It’s a very space opera, Star Wars-seeming set of stories, but linked to issues of postcolonial identity or politics. And what’s the big book you haven’t written yet, but hope to in the future? I would like to write a big science fiction allegory of the process of colonisation. The Xenowealth novels were about trying to throw the mantles off and navigate a postcolonial world. One of the things I’ve always wanted to convey is the oppressive weight of colonialism and the damages it makes to a society, by taking Earth in the near future and giving us an alien invasion that would be on the level of what happened [to the first peoples of the Caribbean]. 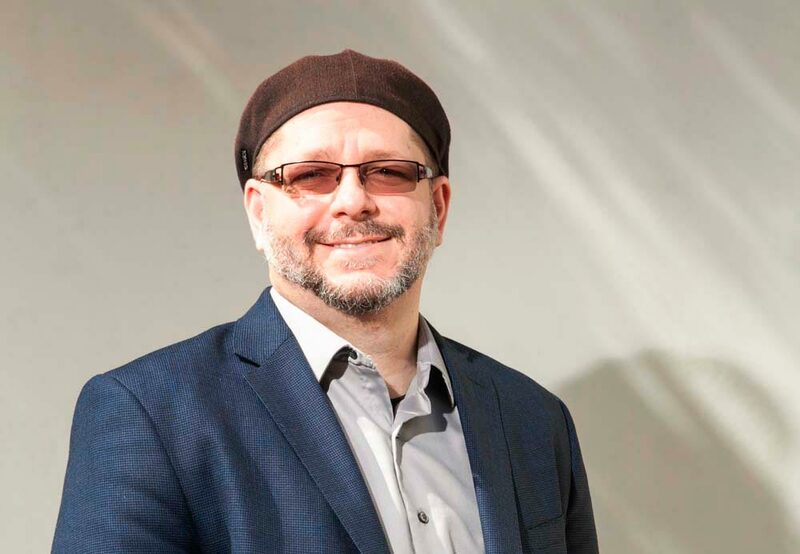 I want to convey what that experience does and has done to people, in a way that I don’t think I’ve ever seen it done. I’ve been taking notes for probably ten years on how to do it. How is speculative fiction specifically relevant to the Caribbean? We have to have a literature that envisions ourselves in the future. If we don’t have that, then we force ourselves to live only in the present. There’s nothing wrong with the present, but we have to have something we’re working towards, or that we’re warning ourselves away from. That’s what science fiction can serve as. Before she started writing her first book, Karen Lord had already earned degrees in physics (in Canada) and the sociology of religion (in the UK), and worked as a teacher, officer cadet, and in the foreign service — a sweep of knowledge and experience that’s enriched her three novels, ranging over space and time. 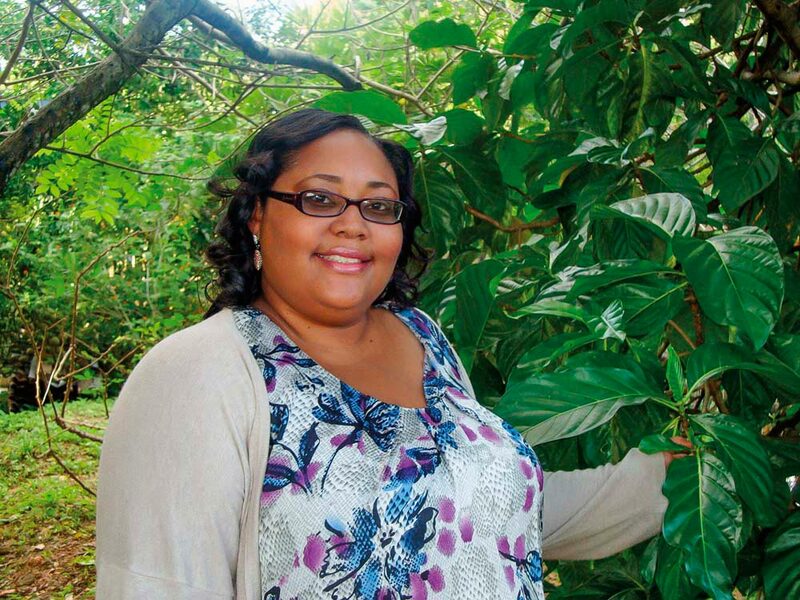 And her “day job,” as a research consultant specialising in the social sciences, surely helps ground her fiction in the very real concerns of her home, Barbados, and the wider Caribbean. The Best of All Possible Worlds and The Galaxy Game, on the other hand, venture to far reaches of space, where an interplanetary clash of civilisations generates alliances and discords between individuals and whole cultures. Caribbean Beat: What is speculative fiction? Karen Lord: It’s a kind of fiction that takes the unreal, takes what cannot exist as yet or has not existed in the past, and uses it as a way of imagining or re-imagining what is real. 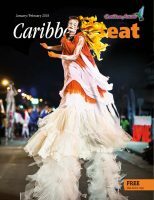 What’s distinctive about Caribbean spec-fic? I feel I could spend ten years researching that question, and have several different answers for you. We don’t have quite the same separations as other places do in our literature. 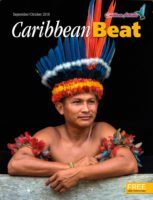 In the Caribbean, we’re already accustomed in our literature to put in speculative elements. One might even say in our lives we’re accustomed to speculative elements — the way we engage with our dreams, with our ancestors. 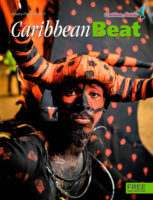 It gives Caribbean speculative fiction that special flavour. But it also gives Caribbean literature that special flavour. It becomes a very blurred question, or blurred answer. What are some of the classic Caribbean books you detect these speculative elements in? Recently, re-reading [George Lamming’s 1953 novel] In the Castle of My Skin, I was surprised to find how much it had the fantastical wrapped up in it. It kept its boundaries — it was within a dream, and so on — but there was something about the very day-to-day life that had such a broader sense of thinking and philosophy even in the smallest schoolboy. When they’re trying to imagine things they haven’t seen, in countries they haven’t been to, an element of the fantastic creeps in. 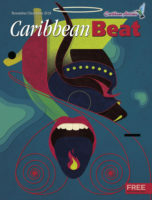 Where Caribbean literature is strong is in the mythic, and that whole sense of having a connection to both the natural and the historical environment in ways that will pass the usual boundaries of realism. We’ve already got a tenuous grasp on which way time is going, so it completely makes sense to write that in, whether or not you have a science fiction background or are claiming to do science fiction. How useful is the speculative fiction genre label to you as a writer? It’s useful as long as we use it and don’t allow it to limit us. [Genres] are just tools. What were the books that made you want to write? It’s hard for me to answer that, because I’ve always, always, always loved reading. From the very beginning it was always me in a book, far more so than television or movies. And what were the books that inspired you, or gave you a sense of what was possible, when you were writing your first novel? A lot of folktales, a lot of books that were based on myth and legend. Everybody knows C.S. Lewis for Narnia, but his book Till We Have Faces, which is a retelling of the Cupid and Psyche myth, is the book I think is his best. But there are some days when no writer on earth can satisfy me. I have actually finished the sequel to Redemption in Indigo. I started writing that sequel before Redemption was even published. It was to answer some questions I thought Redemption left unanswered. It’s in the hands of my agent now, and I hope it will find its way into the hands of an audience very soon. What I’m working on right now is a short story about Barbados fifty years from now. I have a plot. I’m just thinking to myself, this is fascinating, knowing what I know about the technology, about society, and various economic pressures. It’s not a question of can we expect major change in fifty years, it’s a question of how fast you want it to be. Why is speculative fiction important to the Caribbean? If you dare to say your region doesn’t have it’s own science fiction, what you’re really saying is that your region doesn’t have a future you can see. In order for us to be able to imagine the future, we have to be able to write our own science fiction. When R.S.A. (a.k.a. Rhonda) Garcia’s first novel appeared in 2015, it seemed to readers to come out of nowhere. But it was the result of a long apprenticeship in writing, going back to childhood — Garcia remembers writing a collection of fairytales at the age of ten, and as a teenager she experimented with several genres. Then she encountered Nalo Hopkinson’s novel Midnight Robber, and the direction of Garcia’s literary career was set. Her book Lex Talionis is a sci-fi thriller, populated by alien races but telling an all-too human story of violence. A mysterious woman survives a brutal assault, but the motives for this attack, and the details of her past life, are lost to amnesia. The quest to recover her memory and solve the crime of which she was victim only makes it clear she’s still in danger, in a game with high political and technological stakes. The novel is a densely plotted and searing exploration of gender and the politics of violence that reflects the social concerns of the twenty-first-century Caribbean. How do you define speculative fiction as you write it? My definition also includes what I like to read. I look at speculative fiction as the study of humanity in extraordinary circumstances. You’re thinking about possibilities, and how they impact on us and our world. I get a lot of fun out of that, thinking about where we’re going, why we’re going there, what we’ll end up like. Is there a distinctly Caribbean voice in spec-fic? I think we’re still finding that voice, which is really exciting. What we have in common is a cultural perspective that deals with the outsider, with a certain amount of loss and a certain amount of not being sure where you fit in. But I think we don’t have a voice as a whole yet, and I think that’s wonderful. Right now we’re seeing so many different kinds and versions of what a Caribbean viewpoint is, but we have in common a sense of being small people doing great things, and our outsider perspective gives us a completely different angle to the usual global take on things. Who were the writers that inspired you to start writing yourself? Wow, look at that list. The truth is, I don’t stop getting inspired. There’s so much new stuff out there that makes me jealous and makes me want to be a better artist, a better craftsman. When I was growing up, I was influenced a lot by epic fantasy, like the Chronicles of Narnia, and a lot of British writers, like Alan Garner [author of The Weirdstone of Brisingamen] and John Wyndham. I always had a deep and abiding interest in anything that had to do with science fiction, or horror, or fantasy. I’m also a huge, huge, huge fan of Stephen King. And I loved Buffy the Vampire Slayer — I think that was the thing that awakened in me the idea of long [story] arcs and how multiple stories could be told over an arc. But Nalo Hopkinson is special to me — reading her was the first time I realised Caribbean writers could in fact write speculative fiction. And not just do it, but do it as well as anybody else. I found Midnight Robber in my school library, and I borrowed it over and over again just to keep other people off of it. The librarian said, you have to give it up now, other people have to read it. And I said, I’m the only person who wants to read it, it’s mine! That book just set me on fire. Before that, I thought you’d have to pretend to be white to get anywhere as a sci-fi writer. Two books: the sequel to Lex Talionis, and another work in progress that for the moment I’m calling “The Night Ward”. That’s more recognisably inspired by Caribbean folklore and mythology and our mixed cultural background. It’s something I kept close to my chest for a long time. It’s a story of a young girl trying to find safety in a world where she’s no longer safe. And I hope to introduce that world to you as she travels. 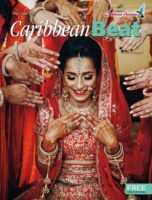 I wanted to look at certain aspects of society — gender, the maternal society that I think the Caribbean really is at its core. Even though on the surface it’s a patriarchy, underneath all things are run by mothers and grandmothers.